At the time telephone was invented, Graham Bell hardly realized that his invention was all set to create a never ending hysteria in the world. Today, we cannot breathe without it, let alone live. Although the telecom industry witnessed a relatively slow beginning, the entire world was so enamored by its offerings that it took no time to become an integral part of people’s lives. The stature of telecommunication services is evident from the fact that switching on the cell phone is the first high-priority task each one of us does after getting up in the morning. Telecom has truly helped in connecting people and made communication rise above the barriers laid down by distance and boundaries of nations. Since the popularity of handheld gadgets refuses to reduce, companies need to help themselves by providing impeccable service support at all the channels of communication a customer utilizes. Moreover, customers are thoroughly enjoying the increased availability of value-added services. This has also encouraged organizations to offer more services at the least possible prices. At present, the telecom arena is characterized by fierce competition. In this situation, it becomes necessary for organizations to think about the happiness of their customers. This is the reason the need for efficient, active and streamlined customer service function comes into the picture. One cannot fulfill the expectations of customers without warranting incessant support. Being a part of the telecom business, you also need to handle the queries of customers that are likely to arise due to the arrival of new products on a regular basis. The value chain of telecom business continues to become more sophisticated with the coming together of communication services, mobile applications, and Internet technology as well as entertainment areas. This calls for considerable capital investment, out-of-the-box business strategies, cost-reduction measures, and consistent innovation. 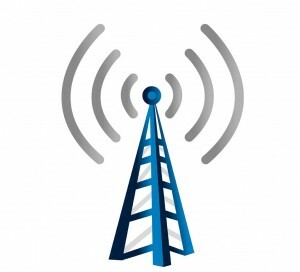 The leaders of the wireless sector are contracting out their processes to third-party for improving their efficiency. In all likelihood, the measure would not only help enterprises withstand economic uncertainty but would also allow them to outperform the ones they face competition from. At present, many telecom enterprises contract out everything from contact center services to the maintenance and support of product lines. We, at Vcall Global, understand that the telecom players who join hands with us are expecting an improvement in the overall efficiency of their business. Since billing lies at the core of every telecom business, we provide our business partners with robust billing solutions that allow them to take control of their finances and the same gets reflected in their transaction methodology. For every customer you lose, there is a service provider waiting to catch hold of him! We intend to connect with your customers on your behalf. This allows you to focus on the areas where your priorities lie while we take care of the rest. It is our endeavor to influence global wireless conglomerates by driving their growth processes through smarter strategies and effective decision-making. Presence of modules like Customer Portal, Sales, Activation, Customer Relationship Management. Integration with third-party services for card processing, bill verification, shipping, and database authenticity. Availability of online platform with 24×7 customer support. Customer Service: Our human resource personnel does not mind going the extra mile to help your customers. Not only do our service representatives understand every aspect of customer lifecycle that begins with phone activation, but is also well-versed with the smallest technical details that a customer can ask for. In addition, we ensure that round-the-clock support is available to your customers at the touch point they intend to use. Data Analytics: Since key telecom players offer services to their customers on a worldwide scale, their databank is also massive. We aim to consolidate their databases and utilize it to develop feasible solutions that offer an answer to critical business problems.